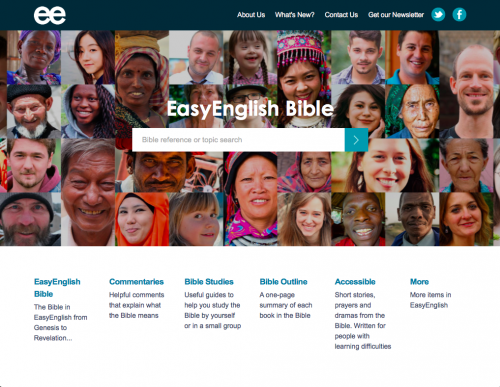 Our vision for the EasyEnglish Bible is to help people from every country to read and understand the Bible, and apply it to their lives. Our mission is to help people to read, understand, and apply the Bible to their lives by providing a Bible Translation, Bible Commentaries, and Bible Studies in EasyEnglish. Last year, over 5,000,000 people from over 200 countries used the EasyEnglish website. EasyEnglish is clear and simple English. The rules for writing in EasyEnglish have been developed by MissionAssist. (previously known as Wycliffe Associates UK) All the materials on this website have been written or translated into EasyEnglish by volunteers working for MissionAssist.